Does Paleo diet work? Dr Karl certainly doesn't think so. Dr Karl has torn apart Pete Evans' caveman paleo diet with a four-point smackdown. Health-conscious folks all over the western world maintain that the key to a long, salubrious life is kicking it old school – at least 12,000 years old-school. It’s called the Paleo diet. Well everybody’s favourite bespectacled scientist, Dr Karl Kruszelnicki, is here to tell us that it’s all a load of old baloney. “The paleo diet claims that the period of 12,000 years since we invented agriculture is far too short for our bodies to have evolved to cope with the new foods that agriculture has given us,” Dr Karl said. The Paleo concept (heroed by celebrity chef Pete Evans) centres around the idea that our bodies weren’t designed to consume processed foods, or indeed anything produced by agriculture, leaving you to make your meals out of little more than meat, fish, vegetables and fruit. That means no grains, no dairy, no table salt, nothing at all processed. 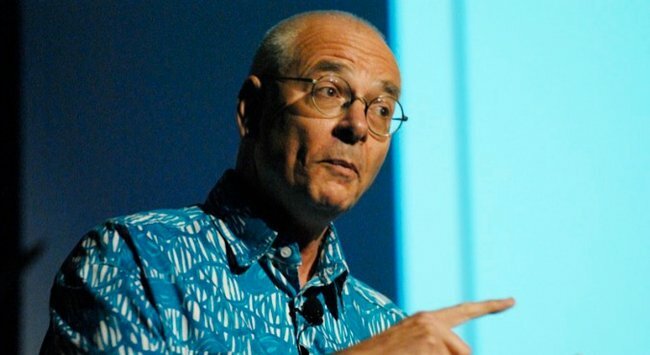 Responding to a listener’s question during his weekly radio segment on Triple J, Dr Karl crushed the whole ‘caveman’ culinary philosophy in four simple points. There was no single diet during the Paleolithic era. People ate different things depending on where they lived. “We actually have evolved a lot in the last 12,000 years.” Consider lactose intolerance, for example. It’s “way out of kilter” with the recommendations of professional dietitians.